Nurturing Mums deliver postnatal courses to give you all the information you need to be calm, cool and confident as a parent. 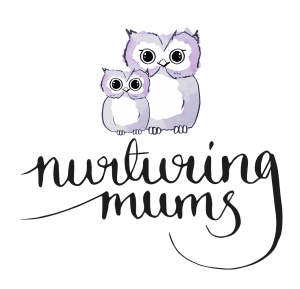 I am delighted to be a nutritionist for Nurturing Mums and deliver the weaning course for all South West London courses. Weaning is one of my absolute favourite topics to talk about and to be able to deliver weaning courses through this fantastic, non-judgmental, sociable course is a delight. The Luna Hive is a women's health and fitness directory. 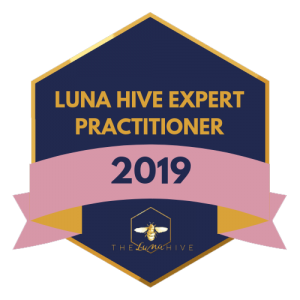 If you're looking for expert support for women’s health, fertility, pregnancy, the new mum and baby stage, or the menopause The Luna Hive can help. I am delighted to be one of their handpicked, qualified experts and their go to Registered Nutritionist for pre and post natal as well as baby and child nutrition. Mama Buba Bump is an online village for mums and mums-to-be where you can find trusted information from experts, tips and support from other parents. Catherine is the nutrition expert for Mama Buba Bump and offers evidence based, up-to-date advice on all aspects of maternal, infant and child nutrition. 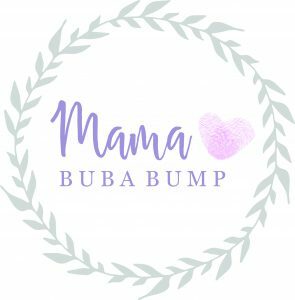 Find out more about Mama Buba Bump here. If you are a Mum or Mum-to-be and would like to join their free Facebook support group The Baby Bubble Hub please click here. The Early Years Nutrition (EYN) Partnership is an accreditation scheme offering nutritional support and training to nurseries and early years settings in England. I am delighted to be a Registered Nutrition Professional (RNP) for the partnership and work with a number of nurseries in Surrey and South West London supporting them to improve their nutrition practice. 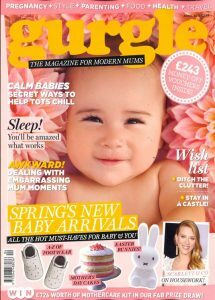 Catherine regularly features in Gurgle magazine as one of the expert panel supporting parents with their weaning and infant nutrition questions. She also writes feature articles for the magazine covering topics from best, first foods for baby, how to establish a good mealtime routine and essential weaning equipment. I am thrilled to be part of the expert panel for Willows Pre-School. Everyone at Willows, from the chefs to the practitioners, values the importance of providing good quality, wholesome and unprocessed foods to the children in their care. I thoroughly enjoy visiting the pre-schools and supporting their staff, families and children to get the best possible start in life through good, varied and wholesome nutrition. Busy Lizzy is a nationwide family club offering specifically designed classes for families to engage, nurture and develop young minds and encourage. I am pleased to be associated with busy lizzys and offer expert weaning talks to local clubs on a regular basis. I am delighted to deliver weaning workshops for Dotty and Jack’s and have thoroughly enjoyed supporting their families through the weaning journey. Catherine regularly provides quote to Mother and Baby magazine on infant and maternal diet and has appeared on their expert panel for question and answer articles with readers. Catherine appeared on BBC Radio London in January 2017 to discuss sugary breakfast cereals for children and the launch of a new change 4 life campaign. Catherine is confident and articulate in her delivery and has the skill to translate scientific nutrition information into straightforward messages for the public. Mac-Nutrition university offer evidence based online nutrition courses for personal trainers, fitness experts and other professionals. I have had the pleasure of writing some course material for the university on nutritional considerations before, during and after pregnancy. Catherine has written articles and provided quotes for The Sun health supplement on early years nutrition. "Catherine is a brilliant nutritionist and writer, making her a great choice for media work. She produced some great features for The Sun, including how to deal with fussy eating toddlers and dietary advice for mums to be. She has great ideas for kids party food too and would love to do more work with her. Her areas of expertise are of interest to so many mums and dads. Catherine is incredibly professional, can write to word count and always delivers ahead of deadline, often at very short notice. I went to one of her weaning workshops too, and would thoroughly recommend to anyone."